Cloudfone has launched Go Connect, a new entry-level smartphone designed for those who want to connect, surf, and chat with ease at a very low price tag. The Cloufone Go Connect comes with a good looking design paired with a compact 4 inch WVGA screen. Inside, there's a 1.2 GHz SC7731 quad core processor, 512 MB RAM, 8 GB expandable storage, and 2,500 mAh battery. Then there's a 2 MP main camera, VGA selfie camera, 3G (HSPA+), and dual SIM card slots. The phone boots with Android 6.0 Marshmallow OS out of the box. The handset also comes with a pre-installed UC browser for quick and easy browsing. 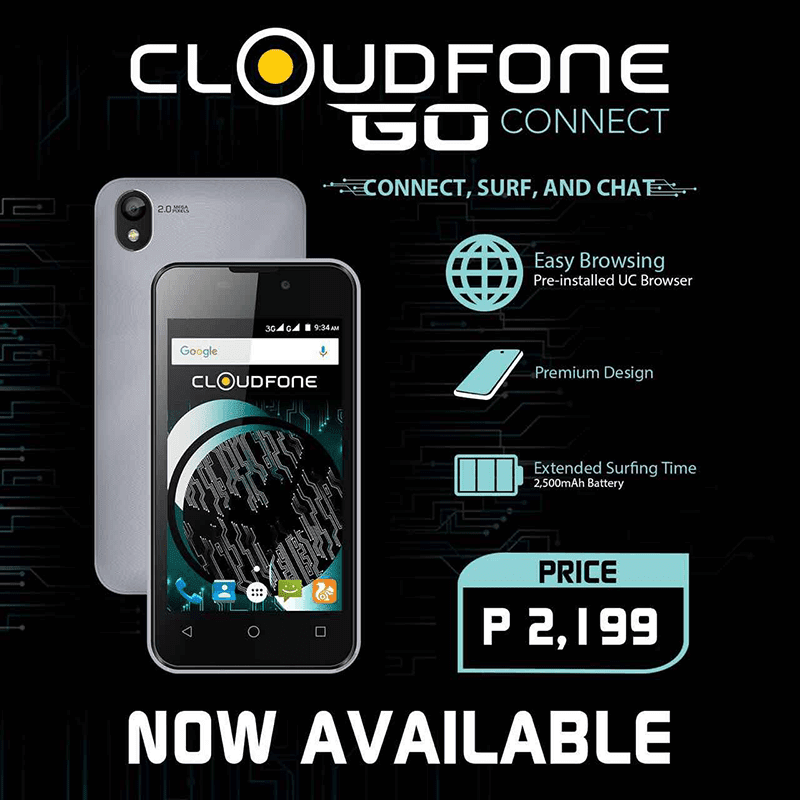 The Cloudfone Go Connect is now available in stores for PHP 2,199!